Containing words and phrases like "ozone layer", "global warming" and others, These cards are about Environmentalism Awareness or Earth Day. In the US this day is celebrated on a different day then in the EU. 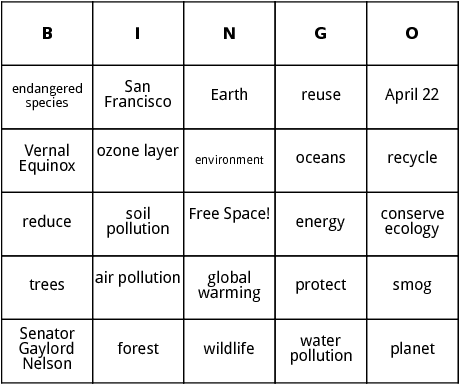 If you are using these earth day bingo cards, you should probably take care of the enviroment by printing on re-usable paper.